Raging Fyah is one of the most talented and dynamic groups ever to hit the Jamaican music scene. Started in 2006, the band consists of five stunning performers, three of which are graduates of the Edna Manley College of the Visual and Performing Arts. This amazing band consists of Conroy Willis - the lead singer, Demar Gayle - keyboard player, Anthony “Tony” Watson - drummer, Delroy “Pele” Hamilton bass player, with lead guitarist Cortland “Gizmo” White. All the members of the band grew up participating in musical activities within the church. These helped to shape and mold them into the great musicians they are today. Along with that, each member also hails from musical families. Conroy gets his musical background from his dad, while Demar is more into performance and adds that his father is a great actor. Delroy is the musical genius of his family, leading the way for his siblings to follow. Anthony gives some of the credit to his mother who played the guitar and sings. The band first started out with the name “Inside-owt” which consisted of trio: Demar, Anthony and Pele formed at the Edna Manley College in 2002. 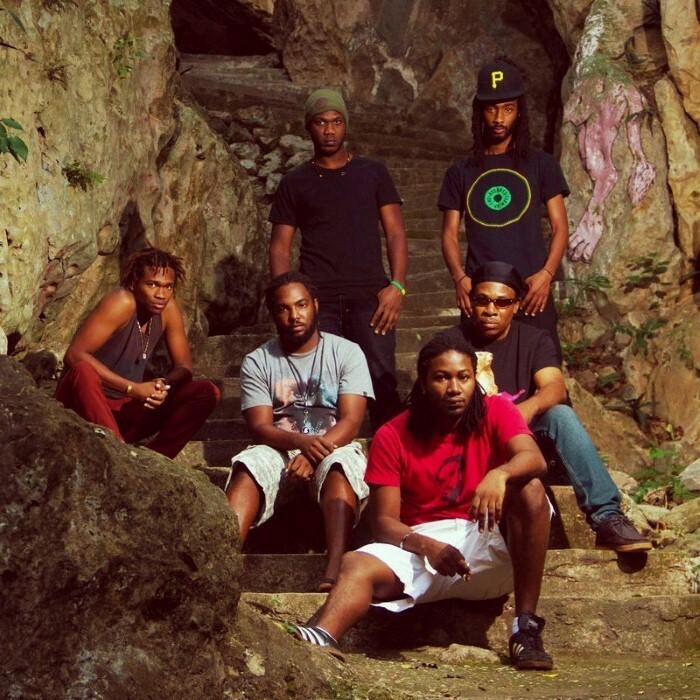 With the addition of Gizmo and Conroy in 2005, the band was officially formed and the fyah publicly started to rage with the new name “Raging Fyah”. Having the same passions and beliefs, they set out on a musical journey to change the world. Conroy the lead singer, strongly believes that it was spiritually ordained for them to create music together. Even though the band exercises all genres of music, they consider their work to be versatile and keep it mostly at roots rock reggae. Their influence ranges from Bob Marley, Peter Tosh, Bunny Wailer, Third World, Beres Hammond, Inner Circle to Maroon 5 and the list goes on. The band writes their own music which is richly influenced by life experiences, their dreams, their goals and the changes they want to see. Raging Fyah will never change over time, they will always be making positive music. Raging Fyah is known both locally and internationally for their stunning performances as a solo act and as a backing band. They have graced stages with acts like Nelly Stharre at the St. Lucia Jazz Fest in 2006 and Aluta Continua at the Rototom Sun splash in Italy. In addition, the band has accompanied numerous reggae and dancehall artistes ranging from the heavyweights to the up and coming. The band has its own recording label called Raging Fyah Productions and is a member of the musical organization the (Jamaica Association of Authors and Composers “JCAP”). Presently being managed and promoted by Jamyah International the band is destine for excellence. The ultimate direction for the band is to make a significant impact on the world and to be seen as role models for future generation. Their long-term goal is to implement an artistic/musical institution that will benefit the community in and around Jamaica while making their families proud.